So if you ever see me out and about and catch me with my fingers pressed against my nose, sniffing my fingernails while wearing a savory and satisfied look across my face after each inhalation, do not be alarmed. I’m just hooked on the sweet smell of Revlons Fizz scented nail polish and needed a fix of that delicious scent. Ok, so I probably wouldn’t do that in public, but best believe I sniff away when I’m at home. 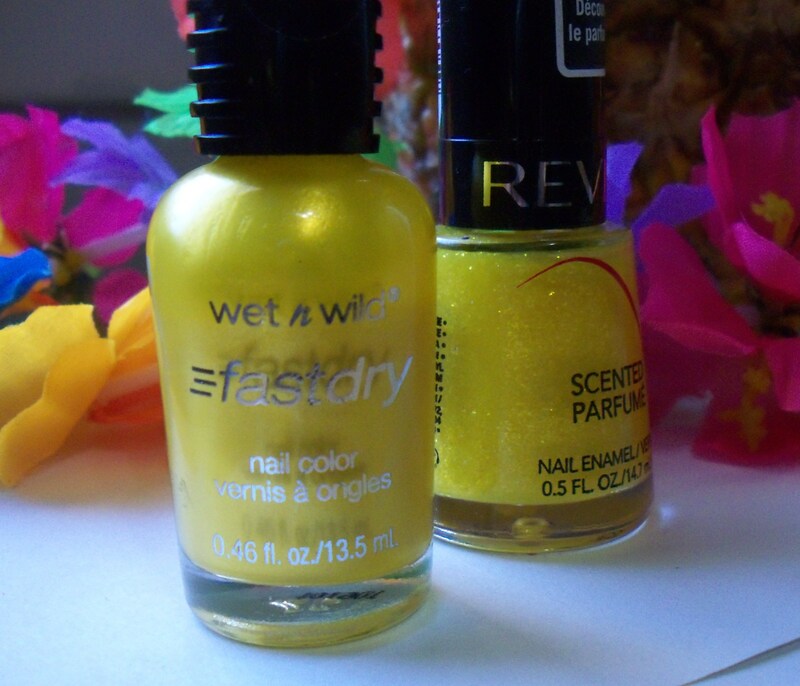 Scented nail polish seemed so preteen/high schoolish when I first heard about it. Even though some had adult sounding names like Mattese Elites Tequila Sunrise and Apple Martini polish from this summer, I wasn’t that interested. I knew Revlon had a scented nail polish line too, but I didn’t pay much attention to it either, until a few months back when I was perusing the nail polish aisles at Rite-Aid. What you know ’bout me. Yeah. So, this weeks poppin’ nail color is actually two nail colors (like you haven’t figured that out from the title). Today marks the proverbial end of summer -insert sad face-, but I’m not gonna let that get me too down. Summer is year round for my nails as far as I’m concerned, but I will mark the end of the calendar year summer of 2011 on a bright note. Tell me this nail color ain’t poppin! I have searched for this particular shade of orange since last summer when I wore my first orange nail polish. Once again the poppin’ nail color of the week is fruit inspired. I don’t like tangerines, but I like this nail color. It is a true summer color, and orange seems to be everywhere as the summer of 2011’s go to hue. I ain’t mad at it. 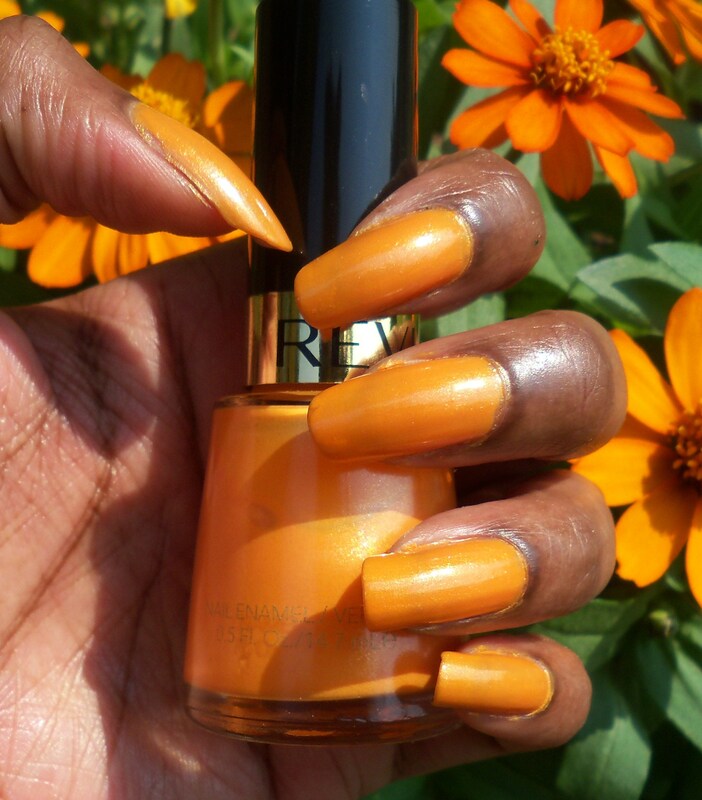 What I am mad at though is Revlon polish in general. This will also be a mini product review.